Before buying that stunning new coat or dress, do we give a thought to the material of the garment? Approximately 80 billion garments are manufactured and consumed per year. The garment industry is one of the major pollutants of water and air. We, as consumers need to be more conscious about our clothing choices – such as finding out the worker’s working conditions and what kind of materials were used. Here are some eco-friendly fabrics you can check for when you buy your next piece of clothing. Hemp fiber is gaining popularity as one of the most sustainable fabrics around. The material is not only environment friendly, but also comfortable. It’s breathable, moisture-wicking, warm and anti-bacterial. The best thing about it is that it becomes softer with every wash. If you love soft cloth next to your skin, then a hemp garment is must-have for your green wardrobe. Apart from the texture of hemp, it is desirable because of its biodegradability, and the crop requires less water than other crops. Hemp crops are very productive, approx 2-3 times more than cotton. Another reason why hemp is the best eco-friendly fabric is because it replenishes the soil’s nutrients rather than draining all the nutrients from the soil it is grown on. This material is made from cotton linter (the silky, fine fibers which stick to the cotton seeds after they have been ginned). Asahi Kasei from Japan has the benefits of cotton and rayon. It’s soft like rayon and breathes like cotton. It can be used as a substitute for silk due to its silky texture, moisture absorbency and comfort factor. Maison Margiela, Donna Karan and Cos are some brands which have included Cupro in their designs. Linen is a favorite eco-fashion staple these days, and not without reason. The fabric has been used by people for centuries because of its durability. In summer, it is the best fabric as it is breathable, lightweight, moth-resistant, and absorbent and of course. This eco-friendly fabric needs much less water than cotton, and like hemp, it is biodegradable too. 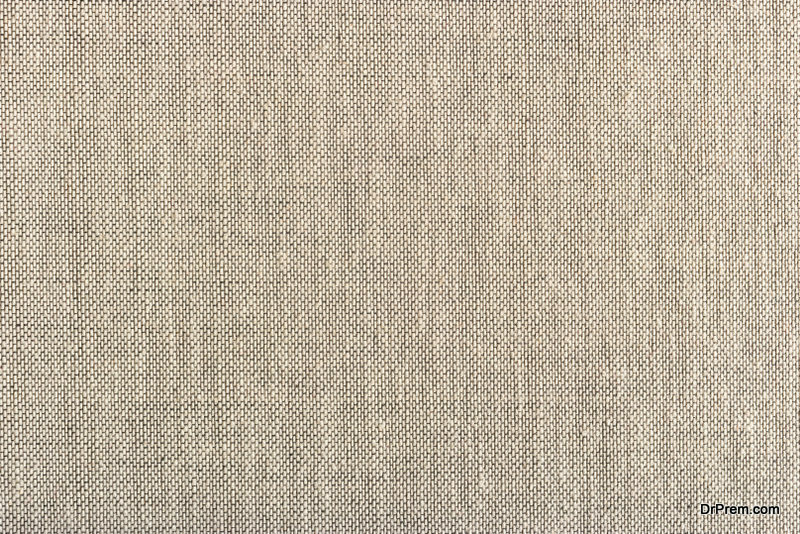 Linen is a stylish, fashionable environmentally friendly textile which you will never regret buying. 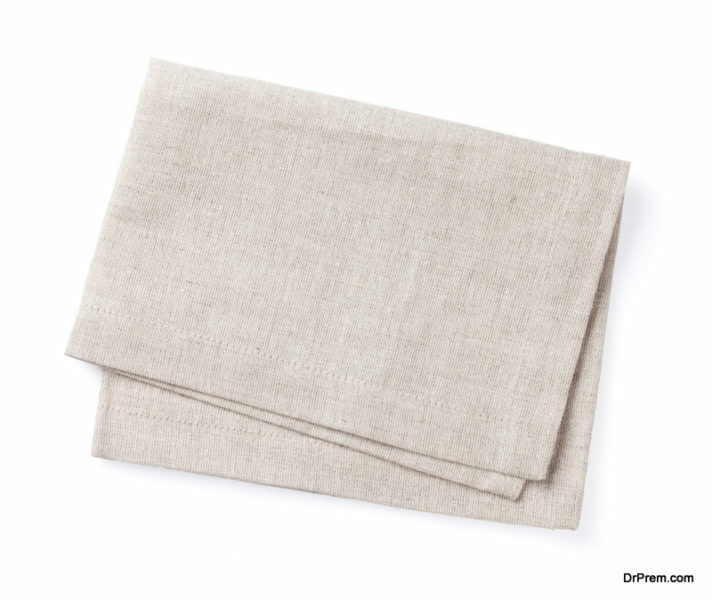 The standout plus point of linen is that it does not need to be nurtured by any chemical fertilizers, nor does it require chemical fertilizers. 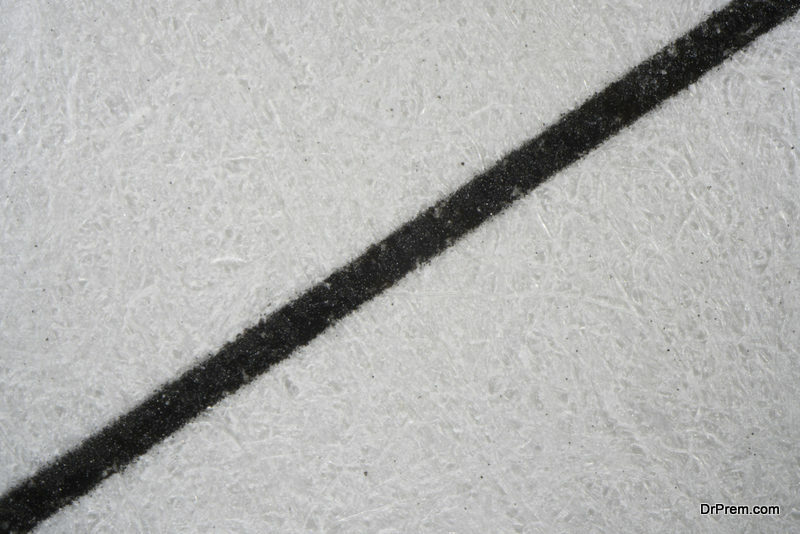 Wool too is an eco-friendly fabric as it is renewable, recyclable and does not require any chemicals. The best wool is that which comes from animals which have been humanely treated and is chlorine free. Organic wool is our preferred choice as it is produced without any poisonous sheep dips, and sustainable farming is practiced. Your green wardrobe is incomplete without a garment made of cellulose fiber. This eco-friendly fabric is being favored by Indian organic garment brands. The name this fiber goes by is LIVA. LIVA is the cellulose fiber in the purest form. The fabric is flowy, soft and gives a nice fit. You’d love to wear this and feel good about contributing to the environment when you buy clothing made from cellulose fiber. This fabric is manufactured from cellulose wood pulp, and is completely biodegradable. The process of production is closed-loop and is less toxic as few chemicals are used. The wood pulp used is certified by the Forest Stewardship Council. Cotton is perhaps the fabric with the highest carbon footprint, even though it is a natural fiber. Cotton industry uses a whopping 25% of all insecticides and 10% of pesticides used globally. Around 20,000 people in developing countries die every year of miscarriages and cancer due to the chemicals which are sprayed on cotton crops. Did you know that just to grow the fabric for one T-shirt, 700 gallons are needed? 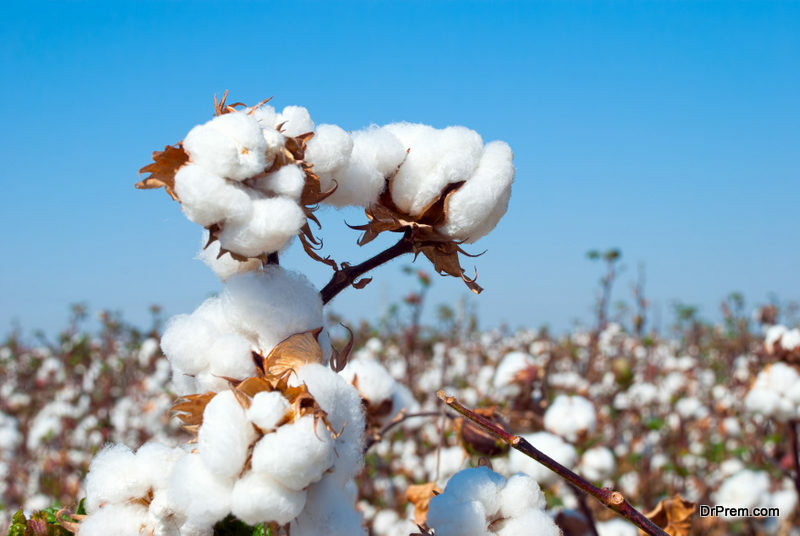 We need to rethink our fabric choices and opt for organic cotton, instead of conventional cotton, to save the environment from lethal chemicals. 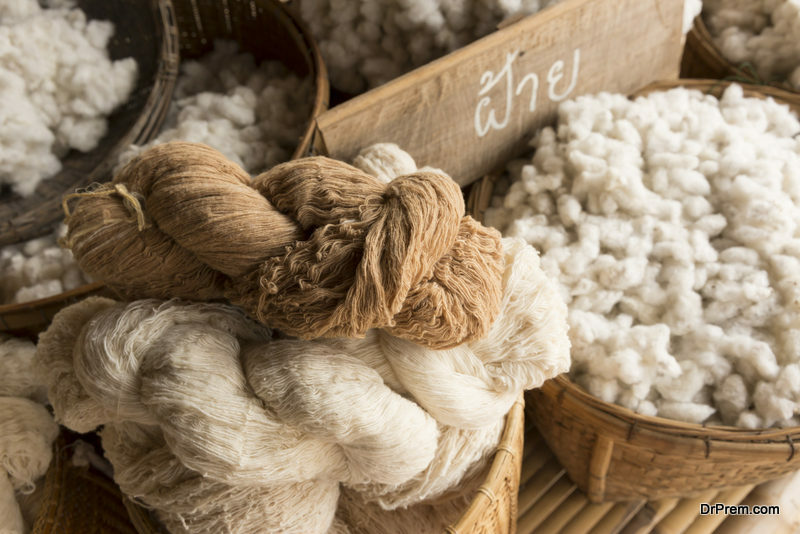 Though organic cotton is a premium fabric right now, and is quite expensive, if more people bought it in spite of the high price point, there will be a time when this eco-friendly fabric will become affordable. This environmentally friendly material is a polyester yarn which is made in Italy. The amazing thing about this material is that it is spun from 100% recycled plastic bottles. The method of manufacturing this fabric is also eco friendly, as it is processes by mechanical means instead of chemical means. This reduces the water usage by 94 % and energy usage goes down by 60%. Newlife is a polyester, but produces much less emissions – 32% less than conventional polyester. Many celebs have endorsed and supported this fabric by wearing gowns made from it. Antonio Berardi and Giorgio Armani have used this new fabric to design exquisite gowns. Bamboo fiber is made from bamboo plant. The natural fiber is beautifully silky in texture, extremely durable as well as having moisture-wicking property. Bamboo plants need little water and are biodegradable. No fertilizers and pesticides are required, as bamboo grows easily in tropical climates. These are all the plus points, but there is a big drawback. The drawback is that when fabric is extracted from bamboo, the process requires a lot of chemicals, and there is a good amount of waste generated as well. This is why bamboo is not as sustainable as other eco-friendly fabric on this list. RE.VERSO is a material which is derived from cashmere and upcycled wool offcuts, and is manufactured by three Italian companies. A third-party assessment found that the material uses approx 89% less water, 76% lesser energy and emissions are 96% less carbon emissions than conventional fabrics. 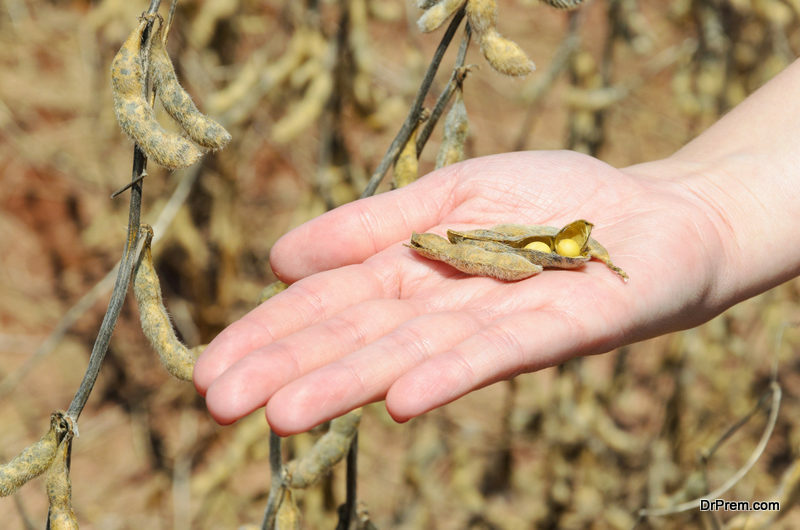 Soybean hulls are derived when oil is extracted from soybean seeds. Sustainable clothing is made from soybean hulls and these clothes are easily washed and maintained. The eco-friendly fabric is also said to have UV resistant property. This makes it suitable for use in the summertime. We as consumers have to take the step to elevate our knowledge and awareness so that we make the right choices for the environment and ourselves, and buy sustainable garments.